Come 2020, the Squibb Bridge will hopefully have a new spring in its step — but this time, not the kind that invites a lawsuit. The Brooklyn Bridge Park Corporation, which oversees Brooklyn Bridge Park, has announced that the long-troubled pedestrian walkway extending from the Fruit Street Sitting Area to the waterfront park is slated for an almost complete replacement. BBPC said in a statement that though the concrete support structure would remain, the pedestrian crossing itself would be replaced with a steel-and-aluminum upgrade. Completion is scheduled for the summer of 2020. However, in the face of the imminent plans for the BQE’s repair, the park’s plans might not unfold as the BBPC plans. Whatever work is done on the Squibb Bridge could come into conflict with the city’s plans to replace the deteriorating section of the BQE between Atlantic Avenue and Sands Street. 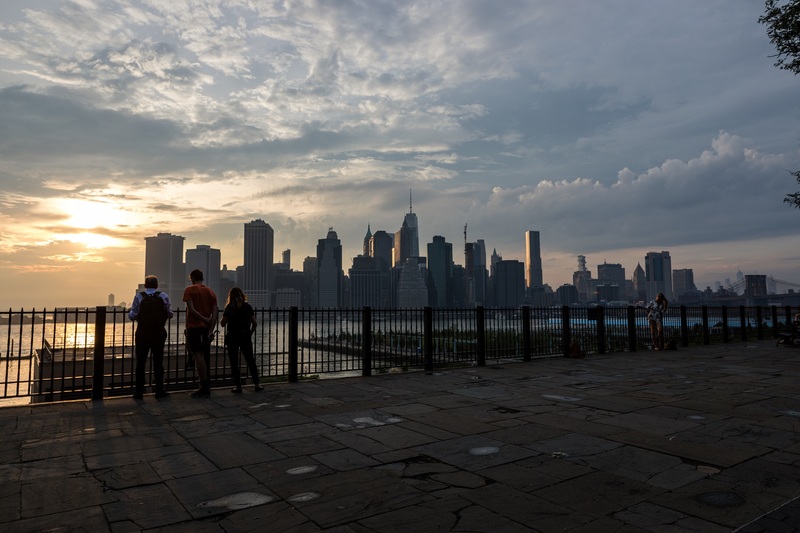 The city Department of Transportation originally proposed that a temporary six-lane highway be built on top of the Brooklyn Heights Promenade, a plan that has generated fierce, organized opposition in Brooklyn Heights. This is a view of closed Squibb Bridge from the Promenade side. While the city is now reportedly considering another option that would create a temporary roadway near BBP during the repairs, this could also impact Squibb Park, according to residents. The repair project for the bridge is estimated at $6.5 million, according to reports from Curbed. The upgrade comes after a series of snafus, which included a 2016 lawsuit filed against the bridge’s designers, HNTB corporation, for faulty design that resulted in a “bounce” when one walked over the bridge. BBP hired global engineering firm Arup to oversee repairs, but the bridge was closed again in August after a piece of rotting wood was discovered. Although that may seem innocuous enough, Arup, together with a wood specialist, concluded that “the testing has identified additional members of wood with higher than expected moisture levels, which have compromised the condition and quality of the wood,” according to BBP’s website. Workers close gate to Squibb Bridge from the Promenade.